Immigration Lawyer Bronx: Should You Apply for DACA? 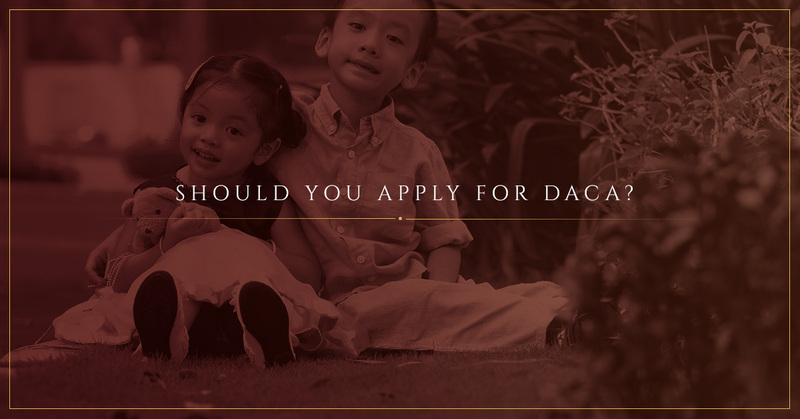 Should You Apply for DACA? The Deferred Action for Childhood Arrivals (DACA) program started in 2012. Its goal was to allow those who had immigrated to the United States as children to remain in the country legally in order to work, go to school, and apply for citizenship. DACA allows childhood arrivals to remain in the country without the fear of deportation, and it’s proven to be a popular program with more than 650,000 applicants across the United States. However, it’s not a program that’s right for everyone. Before you apply for DACA, you should speak to an immigration lawyer to determine if it is the right choice for your situation. Do You Qualify for DACA? You can read the complete list of requirements on our website. Most of the requirements are relatively straightforward, but if you have questions about any of the rules or specific questions about your eligibility, you can contact our immigration lawyer in the Bronx for clarification. No threat of deportation for three years. That is a huge mental burden removed. You can live your life without the constant threat of being deported to a country you don’t know. You can travel internationally and return legally. Many illegal residents were unable to visit family and friends in their native country for fear of being unable to return to the United States. With DACA, you can apply for permission to travel outside of the United States and return legally. You can get a job. DACA gives you work authorization so you can be legally employed. This can open up a number of new economic opportunities. You can renew the status again and again. Once you have DACA status, you can renew it over and over as needed, a much simpler process than the initial application. Everyday life becomes a lot easier. With DACA status, you can do everyday things like getting a driver’s license, open a bank account, and apply for a credit card. You won’t have to find a workaround for these everyday conveniences. It’s temporary. While you can renew the status, it’s important to keep in mind that it’s still only a 3-year reprieve. If you apply for DACA, the information on your application could be used against you in the future. It could even put you at risk of deportation if you have certain misdemeanors on your criminal record or have been associated with any groups that are deemed a threat to National Security. You cannot travel outside the United States without notice. While DACA status offers you an opportunity to apply for and be granted permission to leave and return the United States, you’ll need to do so with advanced notice. It’s not legal citizenship. While DACA status does grant you come new rights, you will not be a United States citizen and would still need to go through the process of becoming a legal citizen in order to access all of the benefits and rights. The benefits that you receive could vary depending on your state. To some extent, it’s up to the individual state to determine what rights and priveledges someone with DACA status will be granted. There is a chance DACA could end. Started in 2012 by President Obama, the current administration is looking at DACA and may make changes to the program or even end it altogether. If you are one of the 11 million unregistered immigrants in the United States and are considering applying for the Deferred Against for Childhood Arrivals program, it’s important that you speak with an experienced immigration lawyer first. Not only can The Law Offices of Diron Rutty, LLC help guide you through the application process, but they can advise you on whether or not this is the right program for your situation. Our advice is confidential and discrete and our rates are fair. Don’t take chances with your immigration status; let us help. Give us a call or contact us through our website to schedule your free confidential consultation.